Illustration of fungal spores multiplying at the surface of a tomato leaf. 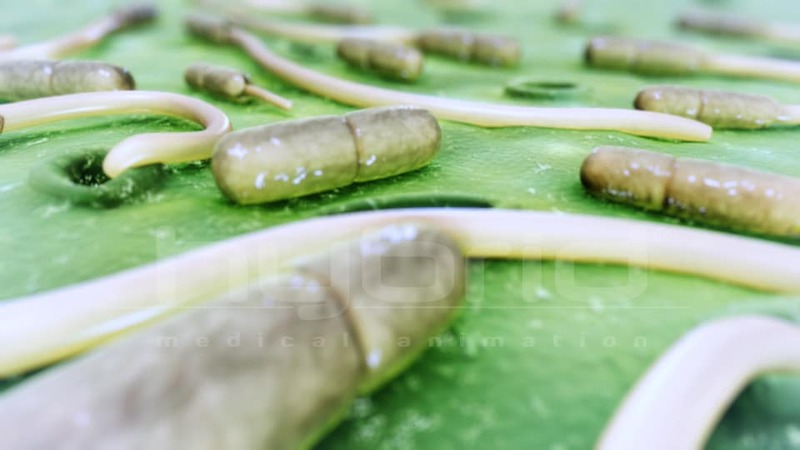 This is taken from a 3 minute animation that examines the mechanism of action of Serenade® and the compounds that create multiple modes of action, making it highly effective against a broad spectrum of fungi and bacteria. The client wanted a useful tool that would help explain and detail how these compounds promote plant growth, enhance yield and improve quality.